Mike has over 25 years’ investigation experience, including 12 years at the Insolvency Service. 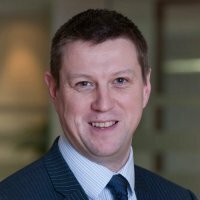 He qualified as a Chartered Certified Accountant in 1996 and is accredited by the ICAEW as a Forensic Accountant. He is a rare beast in the marketplace, acting as an expert witness in both Forensic Accounting and Forensic Technology assignments, providing a one-stop solution for financial investigations that involve the preservation and analysis of data held on digital storage media. The majority of his financial expert witness work relates to insolvency investigations, criminal defence, confiscation, commercial disputes, personal injury and clinical negligence. Mike has also undertaken financial investigations in commercial matters that are not the subject of litigation. On the forensic technology side, Mike receives a wide range of instructions, not limited to financial investigations.